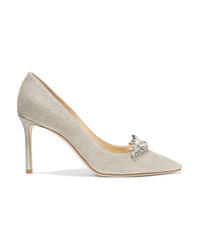 Badgley Mischka Harris Peep Toe Pump $126 $235 Free US shipping AND returns! Lauren Lorraine Fonda Slingback Pump $98 Free US shipping AND returns! 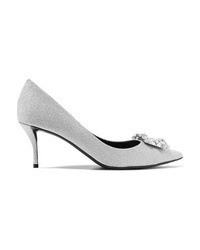 JEWEL BADGLEY MI... Jia Pump $65 $108 Free US shipping AND returns! 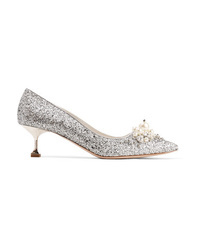 Miu Miu Embellished Glittered Leather Pumps $534 $890 Free US shipping AND returns! 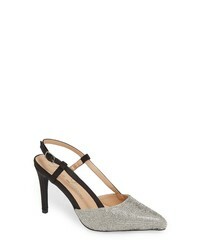 Jimmy Choo Romy 85 Crystal Embellished Glittered Leather Pumps $975 Free US shipping AND returns! 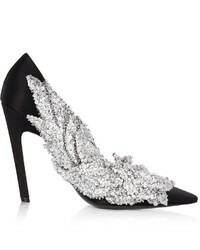 Roger Vivier Flower Crystal Embellished Glittered Leather Pumps $1,750 Free US shipping AND returns! 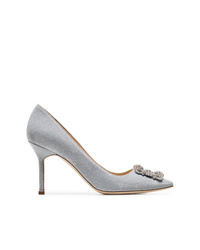 Manolo Blahnik Hangisi Pumps $1,398 Free US Shipping! 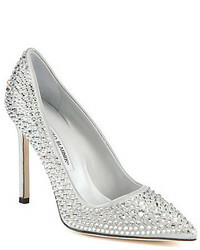 Manolo Blahnik Metallic Silver Hangisi 90 Glitter Pumps $1,137 Free US Shipping! 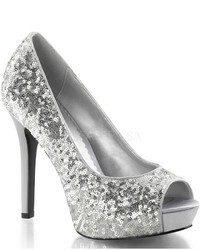 MICHAEL Michael ... Michl Michl Kors Lucille Pumps $200 Free US Shipping!